E. RICHARD EAST, age 93 of Parma. Beloved husband of the late Marion J. East (nee Savitski). 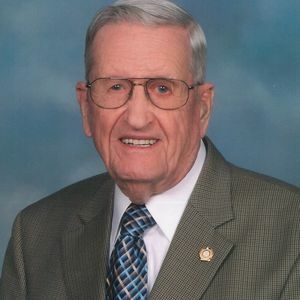 Loving and caring father of William T. East, Karen E. Keefer (John), Renee' Novicky, June R. Petrow (Jerry), Ramona M. East and Richard E. East; loving grandfather of 14 and great-grandfather of 6; preceded in death by 5 brothers and 3 sisters; cherished uncle and friend of many. Proud WWII Navy Veteran. Passed away on Saturday, January 26, 2019. Memorials may be forwarded to Holy Family Home, 6707 State Rd., Cleveland, OH 44134. Friends may call at the BUSCH FUNERAL HOME, 7501 RIDGE ROAD, PARMA FROM 2-4 PM AND 7-9 PM, WEDNESDAY, JANUARY 30. Prayer service at the funeral home on Thursday, January 31, 2019 at 10:15 AM followed by the Funeral Mass at St. Anthony of Padua Church, 6750 State Rd., Parma, Ohio 44134 at 11:00 AM. Interment at Holy Cross Cemetery.